Another picture of Huawei P20 Lite has been leaked online revealing lots of new features which we didn’t know before. The Huawei P20 Lite is going to be an affordable version of the Huawei P20 flagship smartphone which was also leaked recently. The Huawei P20 Lite is expected to launch with a notch at the top of the display and LEICA branded dual rear camera setup. 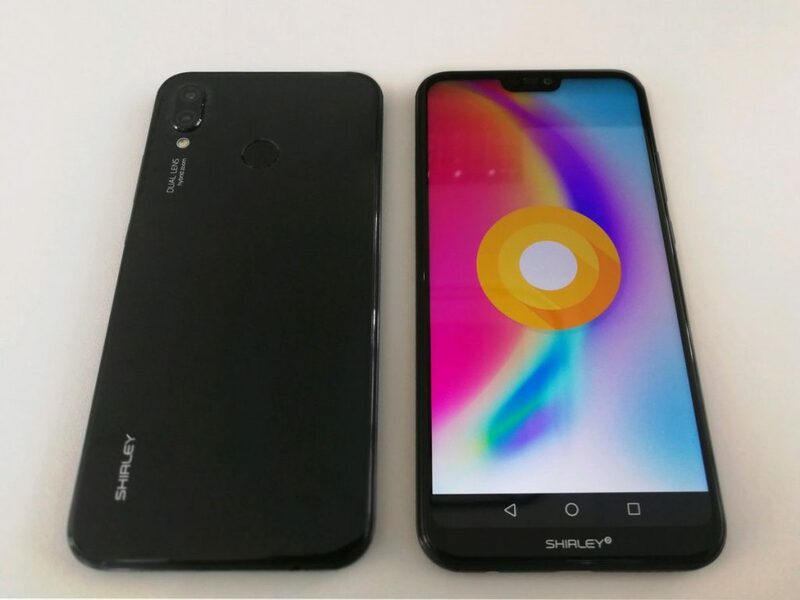 The leaked picture of the Huawei P20 Lite was posted by Evan Blass on Twitter. The picture shows the smartphone from the front and from the back at the same time. We can see the smartphone comes with a notch display design with a little chin at the top part of the display. The rear of the smartphone shows the smartphone with glossy glass back and dual camera setup. The back panel also shows the circular fingerprint sensor, LED flash and SHIRLEY written at the back and on the front chin of the display. The Huawei P20 Lite is rumoured to come with a 5.6 inch Full HD+ display with 2.5D curved glass panel. It is expected to run on Octa-core Kirin 659 processor and Mali T830-MP2 GPU coupled with 4GB RAM and 64GB internal storage. The storage is expandable via microSD card up to 256GB. The smartphone will run on Android 8.0 Oreo out of the box, which has been confirmed from the live image of the device. The smartphone will feature 16MP dual rear cameras with LED flash, LEICA lens, and hybrid zoom. On the front, the device is expected to come with an 8MP shooter and fingerprint sensor. The smartphone will feature all the connectivity options like Wi-FI, Bluetooth 4.2, 4G VoLTE and USB Type-C. The smartphone will also feature a 3,520mAh battery.